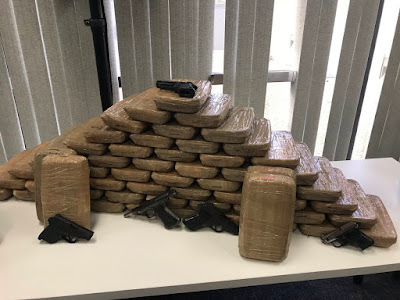 Members of the Sinaloa cartel were arrested in a months-long, multi-agency investigation into an organized crime ring involving drug trafficking in Ventura County. Photos of 15 suspects arrested were shown at a press conference held by the Ventura County Sheriff's Department. Cops seized $10 million worth of drugs and substantial amounts of cash and weapons. The drugs, they said, were destined for Southern California and parts beyond. 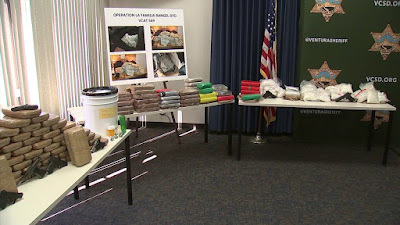 The haul included 285 pounds of meth, 121 pounds of cocaine, 6 pounds of fentanyl and 600 counterfeit oxycodone pills.